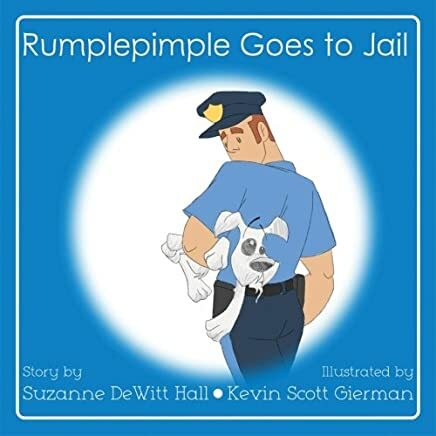 Rumplepimple (2015) and Rumplepimple Goes to Jail (2017), written by Suzanne Dewitt Hall and illustrated by Kevin Scott Gierman, focuses on the exploits of Rumplepimple, a wire fox terrier with lots of energy and a strong sense of adventure. Rumplepimple lives with his cat sister, Chicken, and his two moms. In the first book, Rumplepimple won’t leave his one mom alone, so his other mom takes him on a trip. He enjoys the car ride but isn’t excited when she starts leaving him in the car to do some shopping. Right before the door slams shut, Rumplepimple hears a cry for help. He leaps out of the car, narrowly escaping being locked in. It turns out a mean kid is keeping a little girl’s blankie from her. 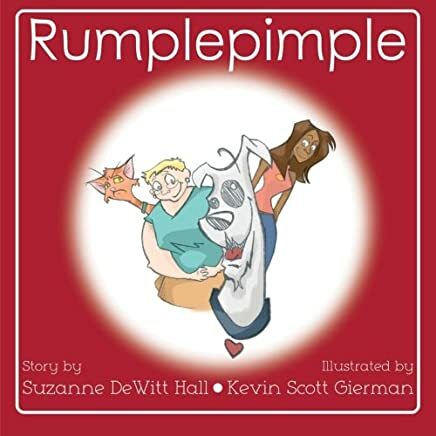 Rumplepimple saves the day, but instead of seeing him as a hero, his mom sees him as a runaway dog! The second book in the series, Rumplepimple Goes to Jail, introduces readers to a single-dad raising his son and their tutu-wearing boy cat named Mr. Noodles. Rumplepimple’s cat sister, Chicken, has an unrequited crush on Mr. Noodles. The adventure begins when Rumplepimple notices his new friend, Mr. Noodles, sneaking off to a street festival. Worried his buddy might get hurt, he busts through his screen door to chase after Mr. Noodles. Instead of saving the day, he gets discovered by a police officer and taken to jail. Happily, he’s soon reunited with his moms. No charges are made against the terrier. The Rumplepimple series reminds me of other children’s culture starring adventurous pets who are quasi-anthropomorphized, like the recent Disney program Puppy Dog Pals. One of my favorite things about the series is how thoughtfully and thoroughly Rumplepimple is positioned as a child, misunderstood by adults and with limited agency. Kids will surely relate to this adventure-seeking dog who can’t seem to stay out of trouble! Another thing I really like about the series are the diverse characters. Diverse body shapes and skin tones reflect the diversity of readers. In future books, I would like to see Rumplepimple’s relationship with Chicken further developed, it would thicken the story and give Rumplepimple more depth. In fact, relationships in general could be more richly expressed. That being said, this series is sure to delight! Dewitt Hall has created a wonderful character in Rumplepimple. Future adventures are sure to be as giggle-inducing as the first two! Note: I know a lot of parents want books with diverse characters that normalize without problematizing difference. These books do that very well!